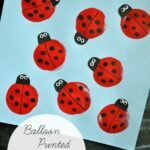 After we made our stamped Bunny Craft the other day I started thinking about what other fun crafts we could make for Spring with stamping. 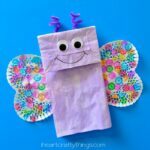 I thought about the different types of prints made by fruits and vegetables and we decided to turn an apple print into a fun Butterfly Kids Craft. 1. Start by cutting your apples in half. 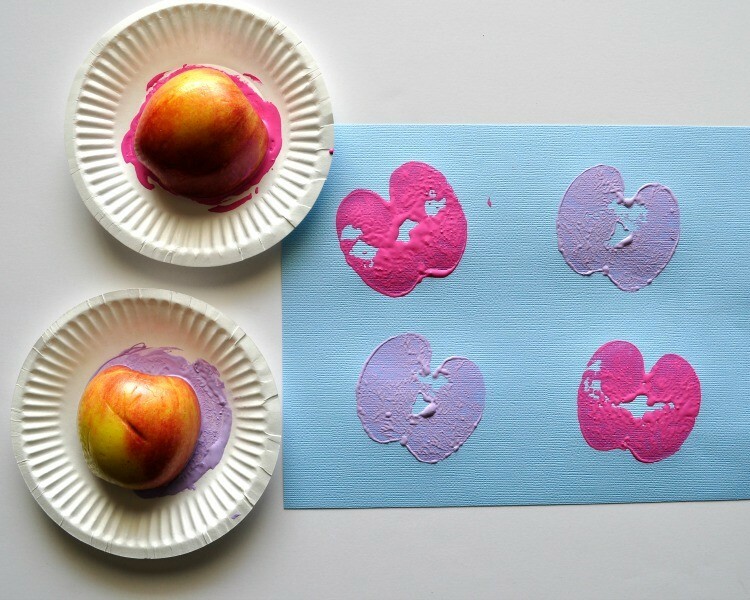 Place some paint onto your small paper plates and then rub your apple halves around on it to cover your apple completely. 2. 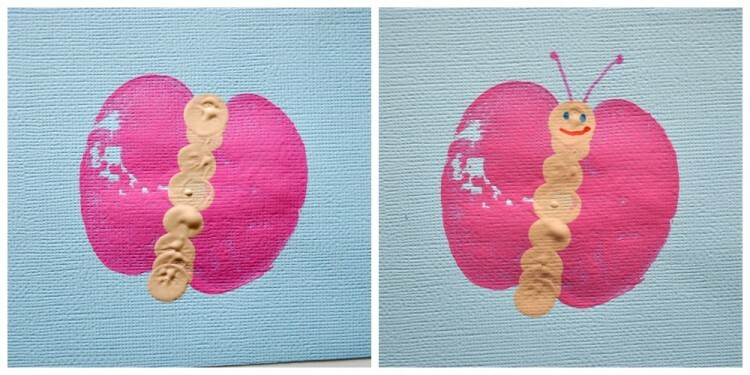 Pick up your apple and press it onto your blue cardstock paper to make an apple print. Continue making as many prints as you would like. Let the paint dry completely. 3. 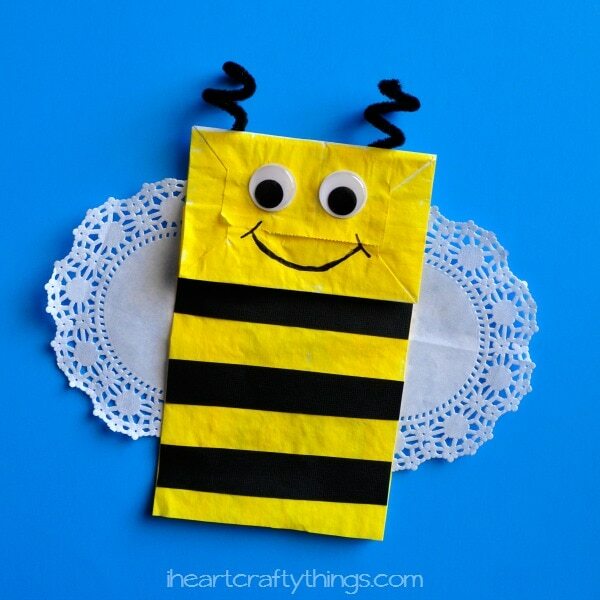 When the prints have dried, pour some paint onto another small paper plate to make the butterfly bodies. We used flesh tone colored paint but use whatever color you choose. 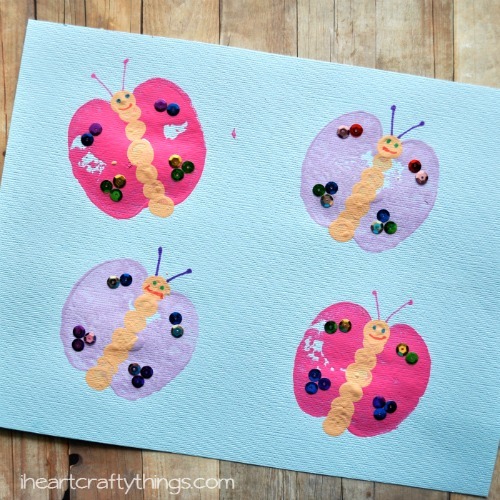 Use your finger to make prints along the center of the apple to make the butterfly bodies. Let the paint dry completely. 4. 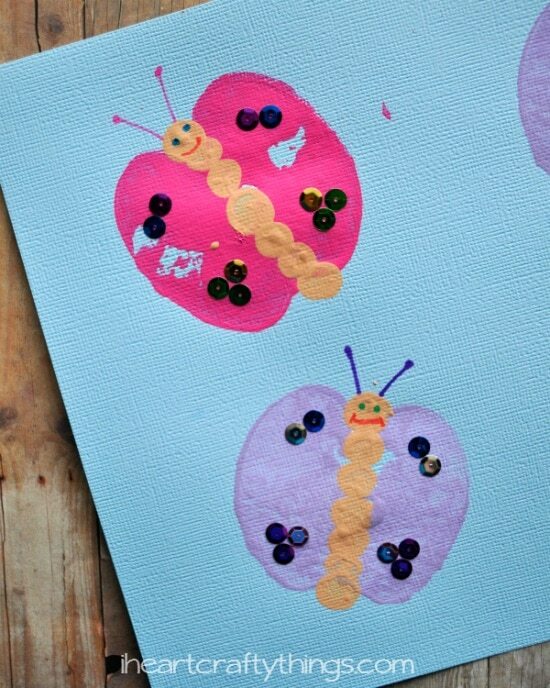 Once the paint has dried, use your markers to draw eyes, antennae and a mouth on your butterflies. 5. 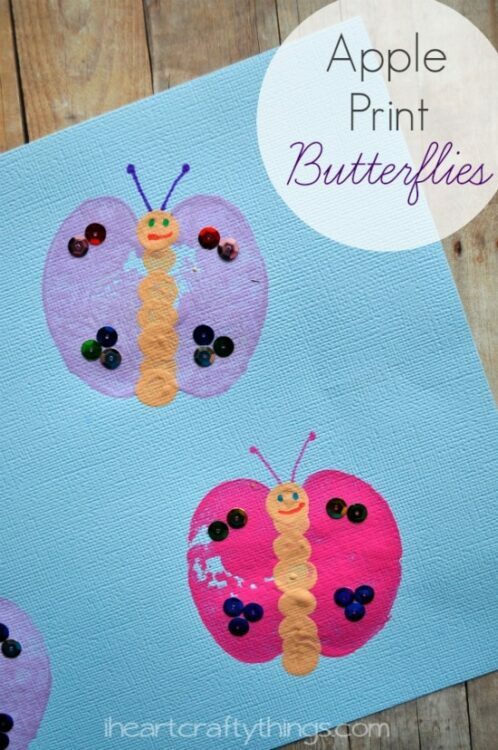 If you like, you can decorate your butterflies with sequins as a finishing touch. 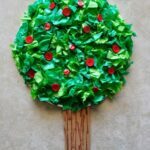 Twitter and Instagram for more crafty fun!